Dating back to 1879 when the Hall effect was discovered by Edwin Hall, it has been extensively applied in measurements, especially in materials characterization and sensing. In modern times it is being used to characterize new materials, empowering the discovery of new phenomena, such as the quantum Hall effect, spin Hall effect, and the recently discovered topological insulators . In addition, the Hall effect operates as a platform for several device applications, for example sensing of current in the automotive industry, metrology, non-destructive inspection and testing, and security screening applications. The Hall effect becomes relevant when a conductor is placed in a magnetic field B, as visible in Figure 1. The Lorenz force FL causes the charge carriers flowing through the conductor to be deflected, resulting in a transverse, or Hall voltage Vxy, between the sides of the material, at a right angle to both the magnetic field and the current IR. Figure 1. Schematic showing the Hall effect measurement setup in a standard Hall bar geometry. Two lock-in amplifiers are used to measure the voltages Vxx and Vxy along and perpendicular to the current flow. The conventional current IR flow direction is used in the diagram, so that the motion of electrons is in the opposite direction. The Lorenz force FL is perpendicular to the magnetic field B and the charge carrier motion. The relationship between the Hall voltage and the magnetic field is linearly proportional, while the longitudinal voltage Vxx is independent of the magnetic field. These are the typical signatures of the Hall effect for metallic conductors and semiconductors, as seen in Figure 2(a). Figure 2. Illustration of longitudinal and transverse resistivities ρxx and ρxy plotted as a function of the magnetic field. (a) Classical Hall effect behavior, where ρxy is co-linear with B, and ρxx is independent of B. (b) Typical signatures of the integer quantum Hall effect. The Hall resistivity ρxy shows plateaus for a range of magnetic field values, with ρxx going to zero at the same time. The conducting properties of a material are decided using Hall effect measurements. Equation 1(a) is used to determine the carrier concentration n and the carrier type because the magnetic field dependence is linear. Conductivity σxx=1/ρxx and carrier mobility µ= σxx/n e are determined by Equation 1(b) together with longitudinal resistivity measurements. Figure 1 shows the Hall bar geometry as designed to extract the voltages Vxx and Vxy in addition to the current IR directly. Once the conducting properties of a material are recognized, the Hall voltage and its linear proportionality to the perpendicular magnetic field component is capable of being employed to build sensitive and accurate magnetic field sensors. In this case, there is a proportional relationship between the measured voltage and the magnetic field and can be determined from Equation 1(a). As the linearity spans from zero to fields of numerous Tesla (T), Hall sensors are commonly used in industrial applications in the form of Hall probes, speedometers, Hall switches, proximity and current sensors. The measurement of speed is also important in several of these applications, while the signals are commonly on top of another big signal and noise background resulting from various static and time varying field noise sources. This places difficult needs for electronics measurement. AC measurement techniques are especially appropriate for these demands because they help to avoid certain systematic measurement mistakes, for example thermal offsets, thermal drift, and undesired components in the background noise spectrum. Furthermore, an elevated signal-to-noise ratio (SNR) is reached in comparison to DC techniques, mainly due to the backgrounds noise falling as 1/f with increasing frequency f. Higher SNR typically also lead to quicker measurements. Moreover, AC techniques frequently come with elevated measurement resolution, allowing a larger dynamic range. It is best to perform AC measurements with lock-in amplifiers because they measure reliably down to a few nV with modifiable bandwidth, even in the company of substantial background noise. Such instruments utilize phase-sensitive detection for amplitude measurements of a signal and the phase against a reference frequency. Apart from at the reference frequency and outside the measurement bandwidth, background noises are heavily rejected and do not affect the measurement. Figure 1 shows a classic setup utilizing the Hall bar geometry and two Zurich Instruments MFLIs, 500 kHz lock-in amplifiers. Both lock-in amplifiers are operated to measure the transverse Hall voltage Vxy and longitudinal voltage Vxx, while one of the two supplies the current through the sample over what is called a current limiting resistor RL. Such a resister is usually selected to be much bigger than any of the resistances combined in the circuit, enabling the assumption that the current is constant. Frequencies of up to a few tens of Hz are usually used for characterization of materials, with the two lock-in amplifiers coordinated in terms of measurement frequency and data sampling. The level current assumption is true in many cases, but in experiments where the sample impedance dramatically changes over the course of a measurements the current requires careful monitoring. MFLI has the capability to do this with its current sensing input. It records the current at the same frequency as the voltage input. Source  provides a more detailed treatment of lock-in amplifiers and how they function. The Hall effect shows qualitatively new features when the electrons of a two-dimensional electron gas (2DEG) are put in a magnetic field. The Hall resistivity alters in steps with plateau structures forming as the magnetic field increases. Simultaneously, the longitudinal resistivity drops to zero. This is called the quantum Hall Effect (QHE), a quantum mechanical phenomenon wherein the discrete energy levels, called Landau levels, are developed in the density of states of a 2DEG. Figure 2(b) shows the classic behavior. The electrons on a plateau follow distinct circular orbits with quantized energy levels and move macroscopic distances following the edges of a sample without any resistance. This is quite remarkable because the conduction remains carried by the electrons and its dissipation-less nature points to the topologically protected edge states. Furthermore, the electrons moving from one Landau level to another can cause visible “quantum oscillations”, called Shubnikov-de Haas (SdH) oscillations. This is seen in Figure 3. Klaus von Klitzing discovered the integer QHE in 1980 , which earned him the Nobel prize in 1985. Figure 3. (a) Plot of longitudinal and transverse resistivity ρxx and ρxy as a function of the magnetic field B, using two lock-in amplifiers. Note that ρxy changes sign when the field direction is inverted. (b) A zoom into the measurement data from (a) shows several higher order Hall plateaus at negative fields with the prominent signatures of spin splitting between them. In Equation 2, v is an integer called the filling factor, and h/e2 is a fundamental constant called the von Klitzing constant equal to RK=25813.807557(18)Ω since ρ = R w t/l. The RK is dependent on the Planck constant h and electron charge e and not on the material properties, temperature fluctuations, or crystal impurities. As well as the QHE in a 2DEG, other forms of Hall effect phenomena have been found. These include the fractional Hall effect, spin Hall effect, and research experimentation has revealed a “quantum anomalous Hall effect”, where topological insulators as thin films are capable of exhibiting a QHE at zero external magnetic field . Using two MFLIs, the QHE was measured at the ETH Zurich where 2DEG GaAs/Al0.3Ga0.7. As samples were characterized for the intention of a study of light-matter coupling . The electron mobility µ was 3x106 cm2 /V s and the density of electrons was 3x1011 cm-2. The dimensions of the Hall bar were 166.5 µm length and 39 µm width. Figure 3 shows an example of measurements, which were performed at 100 mK and at a frequency of 14 Hz. A current of 20 nA was attained by application of a RMS voltage of 200 mV across the 10 MΩ current limiting resister, which was placed in series with a Hall bar. Signal amplification was achieved by a home-built preamplifier with a signal amplification of 1,000 before the lock-in input. The lock-in measurements were carried out using a time constant of 100 ms.
Longitudinal and transverse resistivities ρxx and ρxy are shown in Figure 3 as a function of the magnetic field B, found using two lock=in amplifiers. SdH oscillations in ρxx are shown by the black trace and the red shows the integer quantum Hall effect plateaus in ρxy. The first plateau develops at around 13 T (not displayed). In this measurement the filling factor of as much as 300 was seen, with low temperatures and high sample mobility causing the early onset of SdH oscillations, reflecting the high quality of the sample. Further, structures in ρxx developing above 0.4 T are caused by the spin splitting of the Landau levels (see Figure 3(b)). Due to the resistance of the quantum Hall states being separate from material type, scattering and temperature, 2DEG materials are employed as resistance standards. QHE was until recently only seen at low temperatures. In 2007, graphene measurements at a magnetic field of 20 T showed the QHE at room temperature , and the possible basis to develop new resistance standards. The finding of the QHE in topological insulators lacking the presence of a magnetic field allowed for another set of new possibilities. Such new materials that conduct in protected states could potentially be employed in fast electronics and quantum computation . Measurements of the Hall effect implicate the detection of small signals commonly buried in the noise. The usual resistance in Hall Effect Measurements is around 100 Ω or less. In combination with a current of around 20 nA, this changes into voltages of a few µV for Vxx and hundreds of µV for Vxy. The employment of a preamplifier is definitely of benefit so as to increase the SNR through amplification and filtering of the broadband noise. Both voltage measurements demand the high dynamic range of the MFLI inputs to make room for the full magnetic field sweep. Additionally, this is vital in order to resolve small features. The effective rejection of noise is essential for attaining high SNR. The MFLI is furnished with eight order filters that can reject noise as much as a million times larger than the measured signal, delivering sufficient margin to optimize for measurement speed as well as accuracy. Furthermore, when measurements are conducted at low temperatures, the noise coming from the lock-in input influences the electronic temperature of the sample and adds to the overall noise. In this regard, the MFLI offers the best commercial answer on the market, due to its inputs having the lowest power dissipation available . The effective noise rejection of the lock-in essentially hastens the measurement. This is because the filter time constants are capable of being shortened and the full characterization measurement time in some cases lasts somewhere from a day to a week is capable of being reduced, by as much as a factor of 10. In situations where the constant current IR assumption does not hold, it is vital to measure the current IR to attain highly accurate resistance measurements and circumvent the systematic error of as much as 10%. With the MF-MD option accessible, the current is capable of being measured simultaneously with the Hall voltage by utilizing only one lock-in amplifier unit. The operator benefits from minimized setup complexity and maximized measurement fidelity. The Zurich Instruments control software, LabOne, which is provided with the MFLI, is developed for efficient workflows. The instinctive operator interface delivers first results to the user quickly, while a hoard of features and tools will aid in gaining high confidence in the collected data. For example, while data is directly recorded at the Signal Inputs with the Scope and the demodulator outputs are capable of being visualized in the time (frequency) domain by utilizing the Plotter (Spectrum Analyzer). The multi-device synchronization (MDS) feature is available if the measurements necessitate utilizing more than one instrument. MDS retains the reference clocks of all instruments synchronized and aligns the time stamps of the recorded data. The measurements are capable of being carried out within one session of the LabOne operator interface. If measurements require automation or the MFLI being integrated into a pre-existing measurement setting, LabOne offers APIs for LabVIEW®, MATLAB®, Python, .NET and C.
To date, the Hall effect measurements are universal in fundamental research, SI unit redefinition and industrial applications. The majority of the measurements gain from using AC techniques where lock-in amplifiers are the main tool to ensure high accuracy and SNR through optimum rejection of noise. The MFLI Lock-in Amplifier of Zurich Instruments is developed on the latest hardware and software technologies, uniting the benefits of high performance digital signal processing with easy use. MFLI is the best tool to use for a range of applications, from simple measurements detecting a Hall voltage at a defined frequency to more complex setups demanding multiple instruments to be used. It is capable of adapting to changing demands, such as by upgrading the frequency range from DC to 500 kHz to DC to 5 MHz or addition of another 3 demodulators to analyze the voltage and current inputs at the same time. Davide Castelvecchi. The strange topology that is reshaping physics. Nature, 547:272–274, 2017. N. W Ashcroft and N.D. Mermin. Solid state physics. 1976. 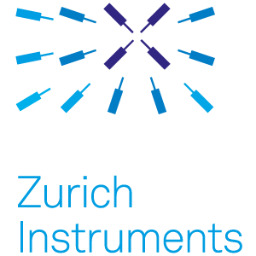 Zurich Instruments AG. Principles of Lock-in Detection, 2017. White Paper. K. v. Klitzing, G. Dorda, and M. Pepper. New method for high-accuracy determination of the fine-structure constant based on quantized hall resistance. Phys. Rev. Lett., 45:494–497, Aug 1980. A. J Bestwick, E. J. Fox, X. Kou, L. Pan, K. L. Wang, and D. Goldhaber-Gordon. Precise quantization of the anomalous hall effect near zero magnetic field. Phys. Rev. Lett., 114:187201, May 2015. G. L. Paravicini-Bagliani, F. Appugliese, E. Richter, F. Valmorra, J. Keller, M. Beck, N. Bartolo, C. Rössler and T. Ihn, K. Ensslin, C. Ciuti, G. Scalari, and J. Faist. Magneto-transport controlled by landau polariton states. arXiv:1805.00846, 2018. K. S. Novoselov, Z. Jiang, Y. Zhang, S. V. Morozov, H. L. Stormer, U. Zeitler, J. C. Maan, G. S. Boebinger, P. Kim, and A. K. Geim. Room temperature quantum hall effect in graphene. Science, 315(5817):1379–1379, 2007. Zurich Instruments AG. Power Dissipation at Input Connectors of Lock-in Amplifiers, 2017. Technical Note. This information has been sourced, reviewed and adapted from materials provided by Zurich Instruments. For more information on this source, please visit Zurich Instruments.